A variety of homemade cookies. 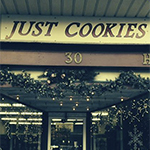 We do make special request cookie orders @ $ 13.99 per pound. Our regular price is $11.99 per pound .